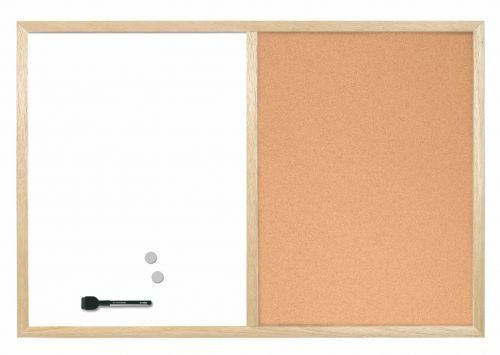 Ideal for limited office spaces as well as meeting areas and kitchen spaces, this Bi-Office Combination Board combines the benefits of a cork pin board and drywipe board in one. On one half of the board, you can pin up notices on the cork pin board, and on the other half, write a quick message on the non-magnetic dry wipe board. 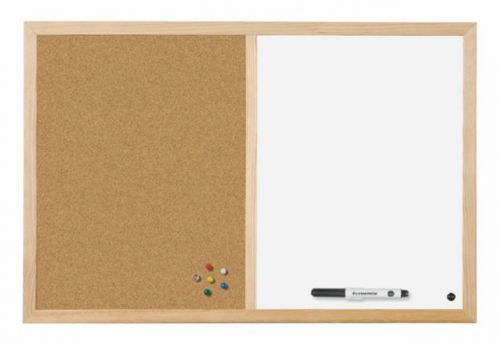 This board also includes a drywipe pen, a pack of pins and a wall fixing kit.